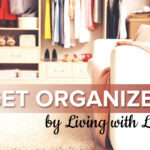 It didn’t take me too long after getting married to realize how many household things I took for granted while living at my parent’s, such as basic sewing necessities. A button had popped off my blouse one morning before church, and without a needle or thread on hand, I had no way of fixing it! This simple sewing kit is the perfect gift for a bride-to-be, a student heading off to university, or any young girl who’s building her hope chest. 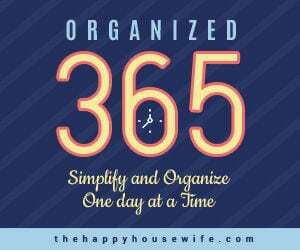 It’s a cute, inexpensive way of making sure your basic sewing supplies are available when you need them. 1. 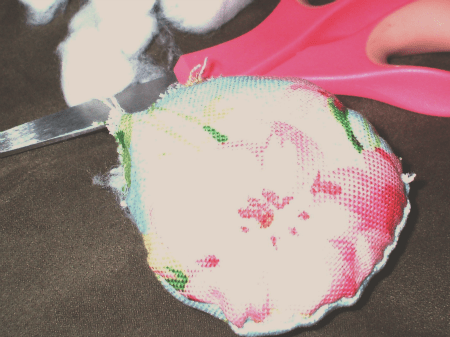 To make the pincushion lid, cut the fabric into two circles slightly larger than the ring of your jar. Sew wrong sides together, leaving a 1″ opening. 2. Turn the circle right-side out and stuff with steel wool (this helps to keep the pins sharp). Add in enough cotton stuffing so the top of your pincushion is able to keep a smooth, round shape. 3. 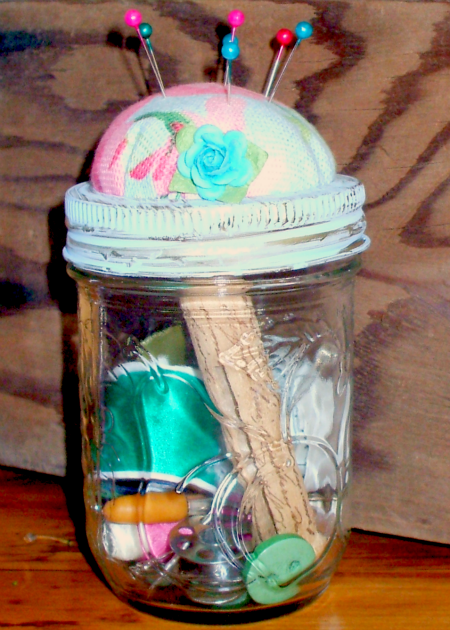 Pop your pincushion through the ring of the jar. Apply glue to the top of the lid and quickly press it against the backside of your cushion. 4. 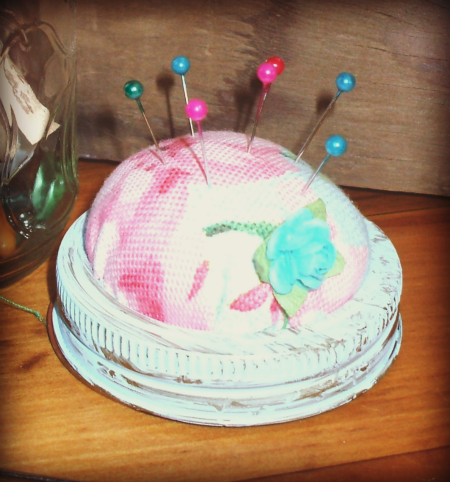 Fill the jar with sewing supplies, and screw on your pincushion lid! 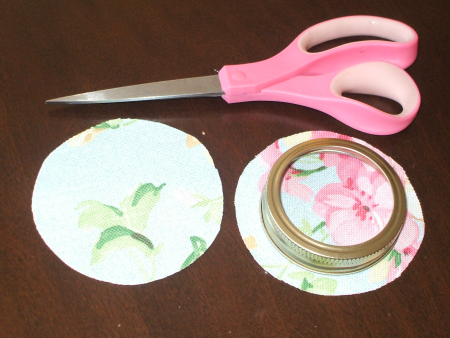 *Optional: Spray paint the jar ring to match your fabric and embellish with ribbon. What a great idea! Also, this could be made for a young man by using camo or navy colored fabric.